Nick Clegg, the leader of the Liberal Democrats, has resigned, after his party suffered “catastrophic losses” in the UK General Election. “I always expected this election to be exceptionally difficult,” said Clegg. In his heartfelt resignation speech on Friday before noon, Clegg said “fear and grievance” had won, while Liberalism had lost. He says responsibility for the Lib Dem collapse is his, calling it the price paid for making the decision to go into government with the Conservatives. "This is a very dark hour for our party but we cannot and will not allow decent liberal values to be extinguished overnight." "Our party will come back," he said. It will take resilience, but this is what his party was built on, he said. He reportedly left the room in tears after delivering his resignation speech. 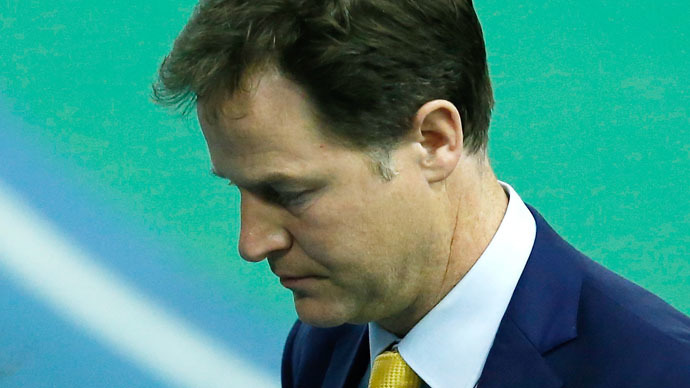 Nick Clegg is the second party leader to resign, after Nigel Farage of UKIP has resigned shortly before him. Ed Miliband is also expected to stand down. People have taken to Twitter to share their thoughts on his resignation. Overall, comments about him are quite positive, calling him a "gracious" leader and that he put his country before his own interests. Long a Clegg fan. Still am. Intelligent, thoughtful, decent. Impossible situation for him, made mistakes but fewer than most others wd have. Clegg getting a standing ovation, for nearly wiping out his Party. How wonderfully British.